The Crawley Campus is the closest facility to Horley. East Surrey College offers an excellent range of Full-time and Part-time courses, Apprenticeships and University Level courses. The courses are industry-focused, equipping school leavers and adults with work-based, practical skills that prepare them for a rewarding career in their chosen sector. Students learn in first-class facilities, in course areas that range from Construction to Caring Services, Aviation to Art and Supported Learning to Sport. East Surrey College is open several evenings in the week and at the weekend, offering a variety of Leisure courses. Adult Learning courses include Arts & Crafts, Cooking, Hair & Beauty, Home & Garden, Languages and many more. Ifield Community College is a friendly, caring college that focuses on achievement. The college is committed to educating the whole person. Students are friendly and wear full school uniform. Teachers are caring professionals who set high standards. Reigate College specialises in providing high quality education for 16-19 year old students. It has an extremely good relationships with East Surrey College as well as other local school sixth forms and colleges. The College works closely with each of its four partner schools Reigate School, The Warwick School, Oakwood School and de Stafford School and can therefore help guide students onto the courses which best match their abilities and aspirations. Reigate School of Art is part of East Surrey College offering qualifications in the creative arts, with an emphasis on art, design and communication. Reigate School of Art website. The University of Surrey is a leading university located within Guildford. 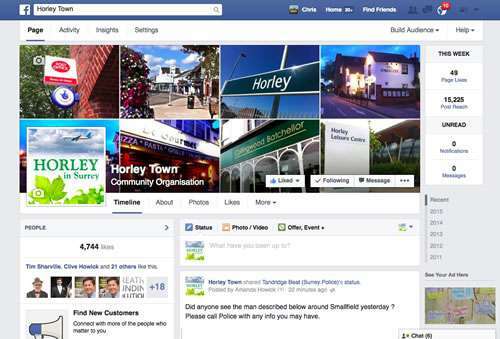 Very easy to get to from the Horley area. Trains from Horley via Redhill to Guildford. Frequent buses go from Guildford to the University. The careers advice service in Surrey has an excellent website. Click on their diagram below to find out more.